Mia and her older brother Simon are going on a trip to North Korea with their father, who is an aid worker. Simon is disinterested in everything to do with the family, and Mia isn't sure how to reach him anymore. Suddenly, their father is arrested for spying, and Mia and Simon are on the run, determined to keep the secret photos of labor camps and to find their father. Without money, a plan, or the ability to speak Korean, how can they save their father, or even themselves? I really enjoyed this book. 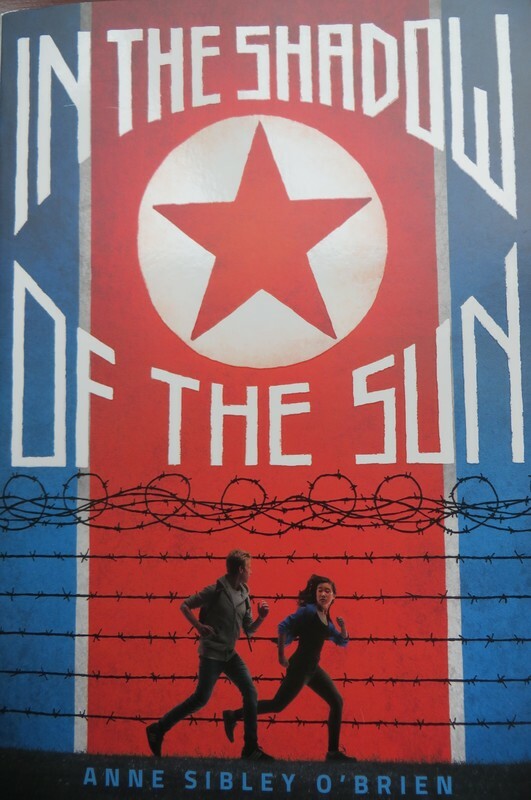 Tons of suspense, interesting background information about North Korea, and well-developed main characters. Mia's growth from a fairly timid American used to a comfortable lifestyle to a more confident team asset in the emergency situation makes her story compelling. Also, Mia is adopted from South Korea, and has spent her life noticing this difference from her family in the U.S. In Korea, she is the one who initially blends in, while Simon stands out. This provides some opportunities for reflection about identity and belonging, against the backdrop of escape. The book also raises important questions about a person's responsibility to do the right thing - it's one thing to try to escape, another to save your father, and how far should you go to prove to the world that a country is mistreating its citizens? "Listen! I don't have time to argue with you! We've got to get these pictures out of here now, to protect Dad. If we get away, maybe there'll be a way to hide the phone."